Platinum-selling recording rapper and producer Russ has been controversial and a subject for jokes on social media but that doesn’t take away the fact that he has a dedicated fan base hungry for music. Russ has released his new album Zoo today, which serves as the follow up to his Platinum debut album There’s Really A Wolf. 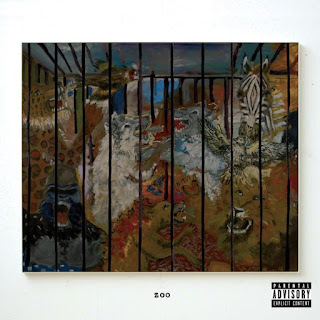 The artwork is done by Russ’ longtime collaborator Kid Super. Two singles have been released so far — ‘The Flute Song‘ and ‘Serious‘. The album is 14 songs long with features from Rick Ross, Snoop Dogg and Mahalia. Stream it below.